Angela Counsel, author of the Amazon #1 Bestseller Secret Mums Business, believes that there is no such thing as the perfect work life balance. Even the thought of trying to achieve this type of balance causes many women to feel stressed. With 10 years experience as a health practitioner Angela is aware of the long term affects of stress on women’s health and well-being so she has made it her mission to share her secrets of running a business, having a great life and looking after yourself with as many business women as possible. The health and well-being of a business is totally dependant on the health and well-being of the owner. If you are finding the stress and overwhelm of running is all too much and if you are ready to make a change then email Angela to organise a free 30 minute strategy session. 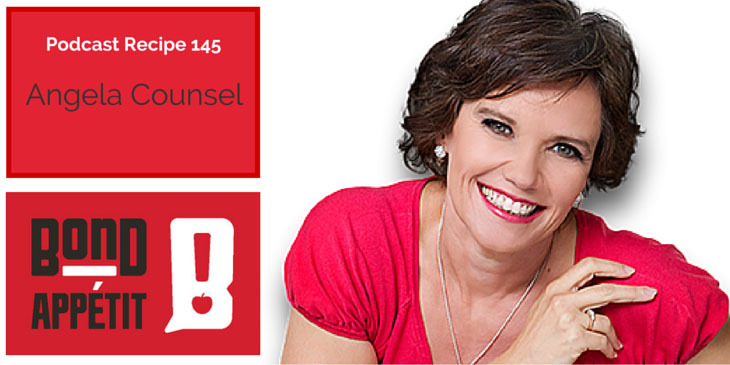 Angela will share the secrets to having it all and still remaining sane with you. Angela has been featured in several magazines and television programs including Prevention, Good Health, Channel 7’s The Morning Show and Channel 10’s The Project. She is also is a regular contributor to Working Mums Masterclass Magazine, The Mummy Mag, Family Capers and Mouths of Mums. With over a decade of professional experience working with women in the fields of mind and body transformation, Angela delivers ground-breaking insights into how women CAN HAVE IT ALL! Angela charges her presentations with her no holds barred, enthusiastic, passionate and humorous approach to the steps and strategies successful women implement, and engages her audience quickly. How her business changed before and after KPI? What are her thoughts of an ideal diet? What are the right foods to eat during lunch? What is the ideal dinner look like? How she become a Naturopath?